During the month of September, when you host a party or place an order for $300, you'll earn a package of FREE, exclusive Dashing Along Designer Series Paper. 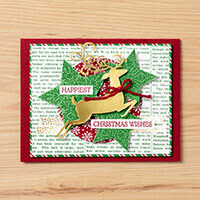 It is so pretty that you're going to love making holiday cards. Here are some samples created by the Stampin' Up! Concept Artists. 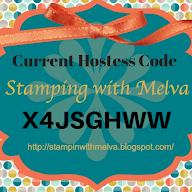 And to make things even better Stampin' Up! 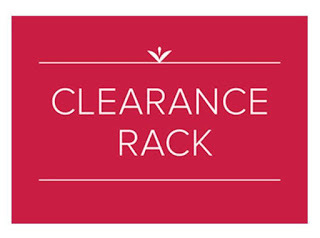 has just updated the Clearance Rack and there are some seriously great deals! Things are selling out quickly so don't miss out! Thank you to everyone who came out to my Holiday Catalogue Launch Party on September 15th. I did a drawing for prizes from those who attended and/or placed an order. Tania won a free card class and Nadine won Festive Farmhouse Elements!